At a posh dinner gathering on May 16th, the Leadership Conference on Civil and Human Rights presented its annual Hubert H. Humphrey Civil and Human Rights Award to Planned Parenthood (PP) President Cecile Richards. In the numerous flattering comments extolling Richards’ accomplishments, Leadership Conference bigwigs said the PP mogul was “a nationally respected leader in women’s health and reproductive rights.” That’s a bit like designating Mao Tse-tung, history’s greatest mass murderer, as a premier guardian of life and liberty. PP terminates the life of many thousands each year. Image from flickr by Fibonacci Blue CC BY 2.0. What was the Leadership Conference praising? In its annual report for fiscal 2016, Planned Parenthood indicated it had performed 321,384 abortions in the United States. For this achievement, claimed the conference leaders, PP deserves thanks and congratulations for creating “a healthier and safer world for women….” Of course, half of the infants slaughtered in the womb by the Cecile Richards-led “health care providers” were females. PP didn’t create a “healthier and safer world” for them. The horrifying truth is that roughly 160,000 live female fetuses needed only to be left alone for a matter of weeks in order to become citizens of our free country. The criminal act of terminating life in the womb costs money. Much of PP’s funding to continue its grisly practice comes from the federal government. During fiscal 2016 ending on June 30, 2017, PP’s annual report noted receiving $543,700,000 from federal “reimbursements and grants.” Which means that a singularly important financier of killing American human beings in the womb is the U.S. government. And all taxpayers, including a large number of anti-abortion citizens, are compelled to finance slaughtering unborn babes. There is no greater outrage being forced on the American people. The Leadership Conference that chose to honor Cecile Richards is a coalition of liberal and left wing groups born in 1950 with 30 organizations as initial members. Its current list of 200 groups includes the following generally known organizations: AARP, ACLU, AFL-CIO, American Federation of Teachers, B’nai B’rith International, United Auto Workers, League of Woman Voters, NAACP, National Education Association, National Organization for Women, People For the American Way, and YWCA. The complete list of its 200 member organizations appears on the conference’s web site. Undoubtedly, there are opponents of slaughtering in the womb within many of the 200 Leadership Conference groups. Letting these people know that an organization to which they belong is heaping praise on PP’s leader and its featured despicable practice is recommended. Insisting that abortion is a highly condemnable practice soiling the image of our nation ought to be “shouted from the housetops.” And compelling America’s taxpayers to finance the practice through taxation deserves to be labeled a “criminal act.” A realistic assessment of abortion should unabashedly term it “murder.” And compelling people to finance what they truly abhor is a cardinal practice of tyrannical governing. During her acceptance speech at the Leadership Conference ceremony, Cecile Richards sought confirmation for what she has been doing by pointing to herself and PP and stating, “Nobody’s free until everyone’s free.” She and all Americans need to understand that babes in the womb slain by Planned Parenthood aren’t free to remain alive until they are born. Therefore, according to her own assessment, nobody else is free. At very least, or until legalized abortion is again deemed a high crime, the federal government should cease funding the murderous organization known as Planned Parenthood. Are you receiving our free weekly e-newsletter? Sign up today! Be sure to also get our free Top Daily Headlines from The New American. Mr. McManus served in the U.S. Marine Corps in the late 1950s and joined the staff of The John Birch Society in August 1966. He has served various roles for the organization including Field Coordinator, Director of Public Affairs, and President. Mr. McManus has appeared on hundreds of radio and television programs and is also author of a number of educational DVDs and books. Now President Emeritus, he continues his involvement with the Society through public speaking and writing for this blog, the JBS Bulletin, and The New American. Taking the life of an innocent infant in the womb didn’t become a so-call “right” in the United States with the 1973 Roe v. Wade decision. Several state governments had already passed legislation conferring legality on the grisly practice. New York Governor Nelson Rockefeller eagerly promoted the killing of unborn infants whose life in the womb had not yet reached the sixth-month plateau known by medical professionals as the time when an infant fetus could survive early delivery. The Rockefeller and Ford Foundations, Planned Parenthood, and others helped to assure America’s abandonment of the centuries-old prohibition against taking the life of an unborn child. Image from pixabay by Fred974, CCO Creative Commons. Since 1973, some states have sought to impede the practice of deliberately snuffing out life in the womb. In 2013, for instance, North Dakota legislators passed a law banning abortions if an unborn infant’s heartbeat is detected. This reasonable attempt to curtail murder by abortion was struck down by a federal court and the Supreme Court refused to hear an appeal. During 2016, a strong anti-abortion Texas law won passage at that state’s level, but the Supreme Court voided portions of it. Just recently in Mississippi the legislature enacted a prohibition on abortion once an unborn infant had progressed 15 weeks in the womb. This law is being appealed by the usual pro-abortion organizations led by federally funded Planned Parenthood. More remarkably, Iowa has just passed and its governor has signed a measure banning abortion if an infant’s heartbeat can be detected. Medical experts contend that such an indication of life can be assured six weeks after conception. The Iowa law requires a woman seeking an abortion to submit to ultrasound inspection. If an infant’s heartbeat is detected, the Iowa law bars abortionists from carrying out the woman’s wishes. Iowa’s Governor Kim Reynolds not only expects opponents to challenge her state’s recent action, she welcomes it. She expects a challenge to be adjudicated after a change in the personnel on the Supreme Court, enough of a change to reverse Roe v. Wade. Her hopes are based on the near certainty that at least one of the liberal justices will soon retire and be replaced by an anti-abortion judge who would, she expects, side with four justices already committed to overturning 45 years of “legal” abortion. Graduating medical school students had always recited the 300 words of the Hippocratic Oath. Since Roe v. Wade however, some medical schools such as Tufts University in Massachusetts and North Carolina’s Duke University, have changed what Hippocrates had written in order to remove the medical profession’s long-standing prohibition against abortion penned by the ancient Greek. Their revised oath contains a condemnation of any “operation for a criminal purpose.” According to numerous university medical schools, when high-ranking justices remove abortion from the list of criminal acts, then terminating life in the womb becomes acceptable. The United States began with the Declaration of Independence’s clear assertion that all are “endowed by their Creator” with rights. Among such rights one can find “Life.” Hence, the willful taking of that God-given right is condemnable. Roe v. Wade destroyed this for tens of millions and it has sullied the image of our nation for 45 years. We agree with the lawmakers in Iowa whose challenge to overturn that gruesome 1973 decision deserves the support and prayers of all thinking Americans. Planned Parenthood supporters. Image from Wikimedia Commons by The All-Nite Images CC BY-SA 2.0. During Planned Parenthood’s sordid lifetime, its leaders expanded their “services” from killing the unborn to marketing the tiny body parts of their victims. If ever there was a blot of our nation’s reputation, Planned Parenthood (PP), the high court, and the political establishment that refuses to terminate the legality of the process have supplied one. What this organization does and is allowed to do amounts to the taking of innocent life – which happens to be the definition of murder. For several decades, PP has been the recipient of as much as $500 million per year from the U.S. government. This means that every federal taxpayer is forced to contribute to a process that millions consider an abomination. Attempts to stop such payments continue to fail because too many Americans and a majority of their elected leaders have lost their moral compass. If asked if they support Nazi Germany’s killing of unwanted citizens deemed unworthy of living, most abortion supporters would respond with emphatic negativity. But PP founder Margaret Sanger supported the Nazi plan as a way to purify the race. If you pressed an elected official to explain how he or she could oppose what Hitler’s government did while supporting what the U.S. government does by legalizing murder and supplying funds to kill millions, you’ll see a bit of squirming. But you might also become the recipient of downright venomous snarling or an explosion of scurrilous invective. During the recent presidential election, candidate Hillary Clinton repeated her endorsement of PP. “I’m proud to stand with Planned Parenthood,” she boasted. Tens of millions of Americans voted for her. They too have lost their moral compass. Besides being an admirer of Hitler, PP’s founder was an adulteress, a racist, a bigot, and a champion of selective breeding. She believed in measures that would lead to exterminating the “unfit,” those she and her cohorts deemed to be a blot on mankind. Yet she is still looked upon as a praiseworthy trailblazer by Mrs. Clinton, a host of political figures, and countless numbers who share totalitarian views. There are, however, some decent Americans who can’t be persuaded to reject what their consciences tells them is terribly wrong. In June 2017, after Hillary’s bid for the White House had failed, the state of Georgia held an election for an open seat in Congress. Abortion wasn’t the main issue separating the two candidates even though it should have been because PP delivered an astounding $734,760 to the Democratic Party’s eventual loser. The nation’s leading abortion provider obviously saw a chance to add to the number of federal politicians who support its ghastly programs. PP’s failure in that contest was good news. And there is other good news amidst PP’s continuing carnage and the American public’s deteriorating moral fiber. President Trump’s appointment of Justice Neil Gorsuch to the Supreme Court, and in the U.S. Senate’s confirming him may lead to a reversal of the 1973 Roe vs. Wade decision and the beginning of an end to legal killing of babes in the womb. If it happens, it would be an event well worth celebrating. Early last December, the Supreme Court of Guatemala, in a very important and welcome decision, dealt a deserved rebuke to domestic and worldwide pro-abortion forces and to the United Nations. Image from flickr by Elvert Barnes, CC BY 2.0. Having discovered that a pro-abortion manual was being circulated through the country, opponents of abortion went to court to have it banned. The small Central American nation’s laws bar abortion from the moment of conception. Its pro-life forces pointed to the manual’s promotion of abortion as a “right,” and its employment of such phrases as the “right to safe abortion” and “pregnancy termination” as clear evidence of what the manual countenanced. In its ruling, the high court refused to be swayed by arguments based on the widespread and growing liberalization of abortion laws in other nations. Guatemala’s judges insisted that pointing to abortion being practiced elsewhere shouldn’t matter when “annihilating the life of the innocent” is the issue. Calling the pro-abortion attitude a “perversion,” the jurists suggested that real progress could be made by helping women in pregnancies, not assisting them to abort infants in the womb. As reported by the American Center for Family and Human Rights, a leading pro-life group, the judges further contended that abortion “fundamentally transforms society, in the sense of making it progressively insensitive to human suffering and the piecemeal destruction of human life.” Also, they claimed that countenancing abortion “leads to the exclusion of those most needy of protection, such as the unborn, the sick, and the elderly.” The judges then pointed to “assisted suicide and euthanasia, even for children” as a logical next step in countries where abortion has been legalized. In its decision, the Court pointed to Article 3 of Guatemala’s Constitution, the Universal Declaration of Human Rights of the United Nations, and the Inter-American Convention on Human Rights that Guatemala has signed. The Inter-American Convention clearly supports protection of life from the moment of conception. Unsurprisingly, what the Manual found unlawful by the Court was brought into existence with help from the United Nations Population Fund. Sandra Moran, a proud lesbian advocate of abortion and a member of the Guatemala congress, has instituted a challenge to the high court’s ruling. MTM Guatemala, a woman’s group favoring abortion that is a foe of the Court’s ruling receives financial assistance from the Open Society Foundation led by America-based George Soros and the pro-abortion giant Planned Parenthood. No surprises there! The Court’s reliance on the UN’s Universal Declaration of Human Rights for its decision likely occurred without realization that every right mentioned in the UN document can easily be cancelled via the provisions contained in its Article 29. This portion of the UN Declaration states: “In the exercise of rights and freedoms, everyone shall be subject only to such limitations as are determined by law….” That means that the UN retains power to cancel any right, even those listed in its Declaration. According to the UN, rights are granted by law (see the Declaration’s Article 3). Further, the Declaration’s Article 8 tells us that God is not the granter of rights government is. A right granted by the UN or any law can easily be voided. What the Guatemala court has done, however, is strike a blow for infants in the womb while exposing George Soros, his Open Society Foundation, and the United Nations as the enemies of innocent unborn infants. For that all pro-life partisans should be very grateful. Murder in Las Vegas: Is it the Largest Mass Murder? City night life along the Las Vegas strip. Image from pixabay by ngd3, CCO Creative Commons. But wait! The most recent annual report produced by the London-based International Planned Parenthood Federation (IPPF) admits that the IPPF was responsible for 1,094,679 abortions in 2016 alone. In the United States, Planned Parenthood snuffed out the life of 887 yet-to-be-born infants every day. Is this not worse than Stephen Paddock’s deadly rampage? Planned Parenthood’s fans and pro-abortion partisans everywhere always claim that abortion isn’t murder. Life begins at birth, they insist, and extracting what can be found in a womb prior to birth is considered a relatively simple medical procedure. But these individuals, properly designated “pro-aborts,” produce no credible evidence to back up such claims. And science continues to demonstrate the terrifying absurdity of their falsehoods. We are all supposed to be outraged at what occurred in Las Vegas – and in Orlando, San Bernardino, and Fort Hood where fewer were murdered. Okay, these murderous sprees are completely condemnable. But we’re also expected to demand that lawmakers outlaw private possession of weapons – not just semi-automatic military-style rifles but any weapon capable of firing a bullet into a fellow human’s body. Overlooked is the fact that no weapon ever shot a bullet by itself. Shootings are the work of shooters, not weapons. We are also expected to accept the lies issued by PP leaders who insist that they are in business to provide “health care for women.” Aren’t half of abortion’s victims females? What kind of health care is it that deliberately terminates the lives of human beings? Overlooked in this discussion is the other PP practice whereby organs harvested from aborted fetuses are sold for profit. That these organs are taken from a live – yet to be born babe – and are salable only because they were extracted from living individuals lends credence to the argument that abortion is the taking of a life. There’s even more to consider when assessing PP and its primary function. The organization receives approximately $500 million per year in federal funding. PP President Cecile Richards alone takes home close to $600,000 per year. This means that all U.S. taxpayers are forced to support an organization and its leader who terminate the lives of close to 900 innocent and yet-to-be-born infants every year. The killer in Las Vegas received no such handouts. And, as evil as his deed surely was, the average daily abortion toll racked up by PP exceeds the number of deaths caused by Paddock. Consider for a moment the momentous outrage if Paddock had been discovered to be a beneficiary of federal funding. The financing of his murderous spree was done with his own money. In contrast, government forces all taxpayers to finance PP and its leader. As a nurse for more than 40 years, I know that abortion is not healthcare and I am incensed that, year after year, my constituents see their money sent to Washington and distributed to organizations that promote or perform abortions all under the guise of “healthcare” services. Ms. Black is as qualified as anyone to know that abortion takes the lives of innocent babes. Yet, federal funding for Planned Parenthood continued. What happened in Las Vegas was absolutely horrible. But, as bad as it unquestionably was, designating it as the past century’s worst killing overlooks a far more deadly termination of innocent life – not in a single day, but daily. On the 100th anniversary of Planned Parenthood, one of its greatest cheerleaders sent five separate messages to celebrate the significant milestone. Interrupting her election campaign, Hillary Clinton sent out several tweets that either praised or defended the organization that has slaughtered 59 million babies in the womb since 1973. The trend of murdering innocent babies in the womb will continue to grow worse if the very prominent cheerleader for Planned Parenthood, Hillary Clinton, becomes America’s next president. (Photo by Lorie Shaull (Own work) [CC BY-SA 4.0], via Wikimedia Commons). One of those messages sent via her computer (a non-secured instrument this time!) stated as follows: “I’m proud to stand with Planned Parenthood. I’ll never stop fighting to protect the ability of every woman in this country to make her own health decisions.” She conveniently avoided the fact that half of the victims of abortion are females needing only time and nourishment to be able to reach womanhood in a few years. They won’t enjoy the protection she mentioned. Mrs. Clinton also equated terminating life in the womb with otherwise normal health decisions. Abortion surely doesn’t allow the victim a choice, and it surely isn’t good for his or her health. Beginning in 1970, Planned Parenthood started receiving federal grants, now totaling more than $500 million per year. The organization claims that none of the taxpayer dollars it receives are used to perform abortions. Even if that claim is accurate, the government funding it receives makes easier the use of other funding to kill babes in the womb. In 2015, some determined anti-abortion crusaders videotaped admissions by Planned Parenthood officials that they were selling the body parts of recently aborted babies. An uproar over that grisly practice led to a congressional attempt to defund the organization, a failed effort due to President Obama’s veto and the congressional inability to override it. Similar congressional moves to overturn the 1973 Roe v. Wade decision that opened the floodgates for abortion have also failed. Over its history, besides being pro-Nazi, Planned Parenthood has shown itself to be anti-black, anti-Hispanic, anti-Catholic, and anti-Jewish. Yet within these groups of Americans are millions who support the Clinton candidacy. Meanwhile, the mass media that refuses to report the truth about Planned Parenthood and its Sanger-inspired efforts chooses to paint her opponent with unsavory labels, many of which are unfounded. One reason why the murder of innocent babes in the womb continues is that the practice has now involved millions of women and men. There is a wide lessening of disgust for a practice that, prior to 1973, was almost universally deemed abhorrent in America. This trend will only grow worse if the very prominent cheerleader for Planned Parenthood, Hillary Clinton, becomes America’s next president. Does Zika Warrant Bringing Back DDT? Jane Orient, M.D., serves as the Executive Director of the American Association of Physicians and Surgeons (AAPS). This Arizona-based organization attracts conservative-thinking doctors and frequently finds itself in disagreement with the well-known American Medical Association. Image from Nick Youngson via Picserver.org, CC BY-SA 3.0. Dr. Orient has issued a call to start using DDT in the fight against the Zika virus. Her stand places her in marked contrast to an assortment of leftist environmentalists and their political allies. To them, DDT is harmful. But examination of the claims that DDT adversely affects people, plant life, and fish shows the worries to be unreasonable if not completely false. In 1962, however, Rachel Carson’s Silent Spring gave birth to a campaign against DDT that has led to the substance being banned for use in the United States and much of the world. Carson predicted that vegetation would disappear, fish would no longer be found in rivers and streams, birds would no longer be found, and people would face grave dangers. DDT became Enemy Number One and its use became illegal in 1972 via an EPA mandate. Soon, the United Nations joined the U.S. in condemning DDT and using it ceased in many parts of the world. In Florida today, frantic efforts to eradicate the Zika virus have dominated our nation’s print and electronic media. Numerous athletes have declined to participate in the Olympic Games over fear of mosquito bites transmitting the Zika virus and more. To combat the threat, medical authorities are turning to everything but DDT. “If we do nothing,” says Dr. Orient, “a lot of people will get Zika [and] some will get Guillain Barre Syndrome which causes a potentially fatal paralysis.” Labeling as a “step above nothing” the current strategy of the U.S. Centers for Disease Control (CDC) – don’t get pregnant, wear long sleeve clothing, and apply a mosquito repellent – she laments the refusal to employ DDT to deal with the problem. Everything offered by the CDC and others isn’t working very well according to the AAPS leader. What would work? With a willingness to stick her neck out, Dr. Orient says it may be “the height of political incorrectness to suggest trying DDT.” But that’s what she believes would be effective. Why did the ban on DDT develop and become virtually mandatory? Population control seems to be the hidden goal of some. In the 1960s, Environmental Defense Fund leader Dr. Charles Wurster claimed there were already too many people on earth. He proposed banning DDT “as a way to get rid of them.” In his syndicated column, Walter Williams noted that Malthusian Club founder Alexander King had written in 1990: “So my chief quarrel with DDT, in hindsight, is that it has greatly added to the population problem.” In November 1991, the Paris-based UNESCO Courier, published the proposal of famed oceanographer Jacques Cousteau who called for action to “eliminate 350,000 people per day” as the way to counter population growth. Others claiming to be environmentalists have issued similarly outrageous statements. The existing ban on DDT should be terminated. 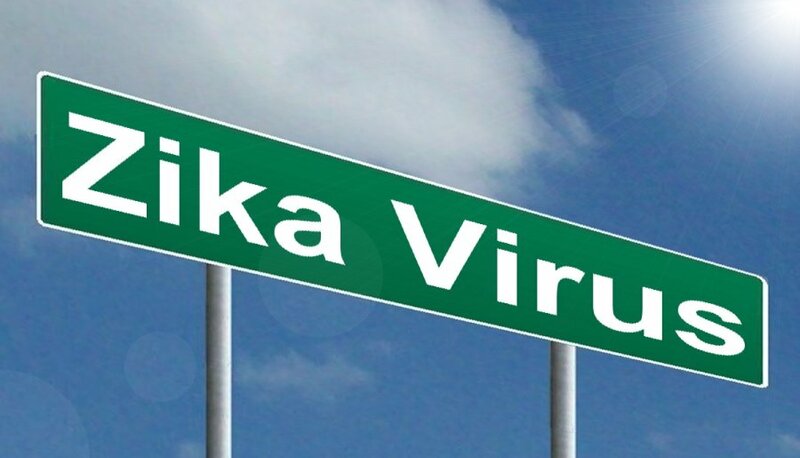 Perhaps the current scare presented by the Zika virus will lead again to the use of this remarkable and safe substance.